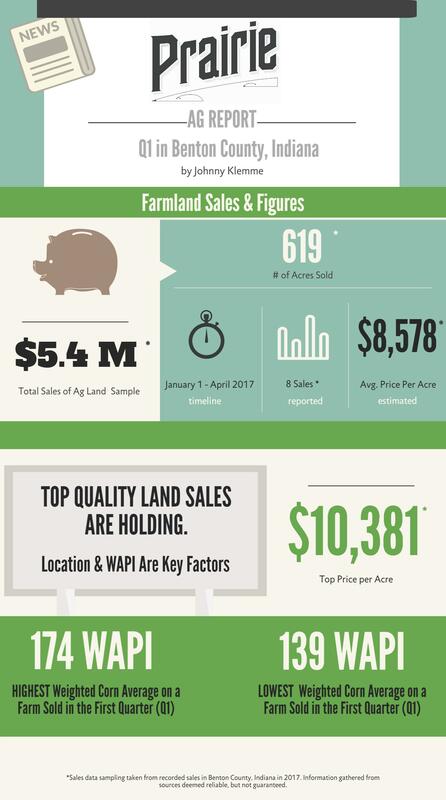 Our Quarterly Report on Farmland values and the price per acre in Benton County (featured every quarter in the local paper) is available below for your review! Soils & Drainage play a big role in the price per acre! As always, call us with questions!